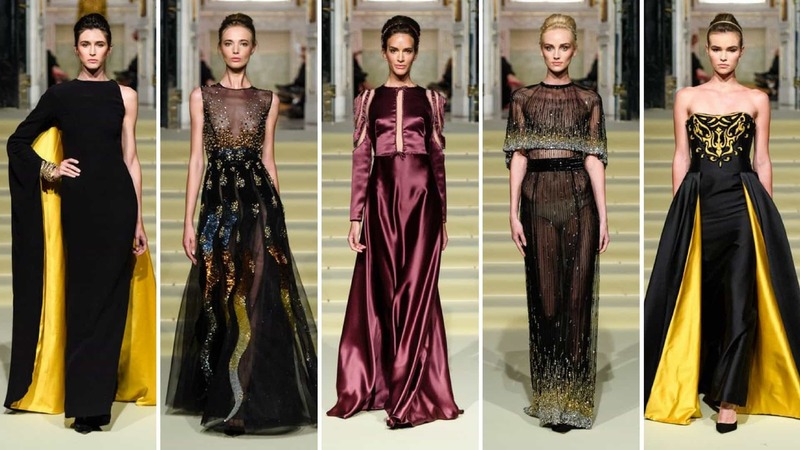 Renato Balestra is the other great protagonist of this last Altaroma edition. We all agree he is a milestone of that italian haute couture we feel nostalgia for. There are no words to describe such a professional man who contributes for all of his life to make the italian fashion world synonymous of elegance and charm. The designer once again demonstrates his mastery through the latest F / W 2017-2018 collection. Princess Collection invites all women to find their own inner princess. The models walk down the catwalk wearing dreamy dresses in the suggestive location of the designer’s maison . The essential and harmonious lines of the garments make Princess Colletion a timeless collection, a mix of modern and classic style. Tunic dresses are mostly made of soft satin and decorated with precious details. Exquisite embroidery, inlays of ribbons and embroidered lace enrich the clothes making each one of them a unique piece to wear to feel a fairy tale princess. Black, the main color of the collection, is revived by bright and yellow sun details. 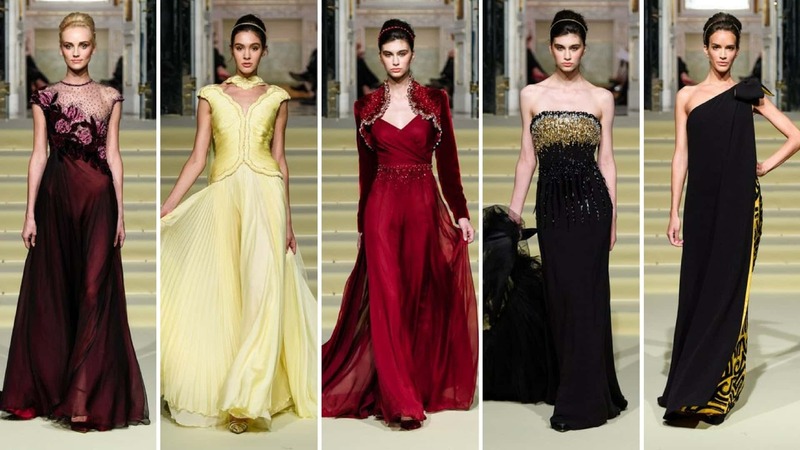 The collection alternates to black dresses also pomegranate and gold ones. The transparencies make the fairy tale creations more sensual and catchy. The bridal gown is instead made with white tulle characterized by a cascade of aqua embroidery. The mermaid silhouette is matched to a hood that, thanks to transparencies, surrounds the dress as a soft and light cloud. The Balestra’s collection makes women not only princess but queens by reviving in them that elegance and femininity that they naturally have. Princess Collection is the proof that magic exists and can also be worn.